The outlook for Red Snapper Fishing Charters in Galveston, Texas is looking superb for 2017. Federal Permitted Charter Boats had 46 days of Federal Red Snapper Fishing Season in 2016, and 40 days in 2015. We anticipate at least the same – and possibly more days at sea to target the “Lutjanus Campechanus” most commonly referred to as Red Snapper. June 1 has been, and with most certainty will be the opening date again for Gulf Red Snapper Season 2017. The total amount of days will be announced soon. 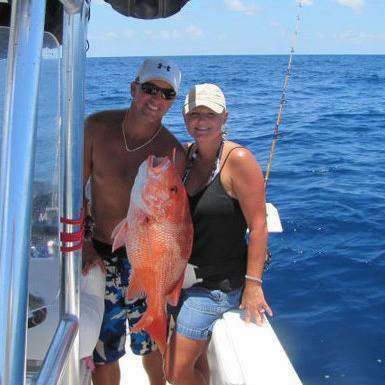 Our Galveston, Texas Red Snapper Fishing Charters typically start with a nice boat ride out to 30 to 80 miles offshore. We seldom fish visible platforms. Most of our Hot Red Snapper spots are underwater structure, wrecks, breaks, and abandoned rigs. Once we limit the boat out on Big Red Snapper, we target other species such as King Mackerel, Dorado, Cobia, Wahoo, Tuna and more. A Big Change to this year’s Galveston Offshore Fishing season is King Mackerel limits have increased to three fish per person from two beginning May 11. If you are looking for a fish to test your limits – taming a King Fish could be a test of all tests. Water temperatures in the Gulf have been at an abnormal high which means the Kings are already moving in. With water temps in the mid 70’s during April – great things are already happening, and more on the horizon. We ran offshore out of Galveston last week, and only 30 miles out – King Fish were very thick. This is exciting as we near our Galveston Deep Sea Fishing Season. Another key ingredient to catching a variety of offshore species out of Galveston is sargassum, more commonly known as seaweed. We are beginning to see signs of the floating canopies forming, which make excellent habitat for mahi (dorado), cobia, wahoo, triple tail, sail fish and more. Catching Mahi out of Galveston is likely one of the most exciting thrills for an offshore angler, and seaweed is an important ingredient. 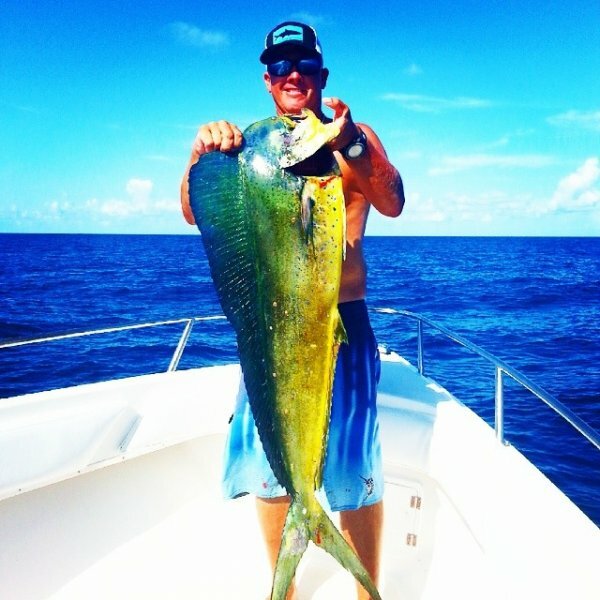 With their acrobatic feats, beautiful colors and amazing table fare – catching a Mahi-Mahi should be on the ‘to do’ list while visiting Galveston, Texas. Excitement grows high when we see a school of mahi circling the boat, and sight casting to these amazing fish. With limits being very liberal – filling a cooler up with dorado is very exciting and rewarding. There is much to be excited about for Galveston Offshore Fishing and our Red Snapper Fishing Season ahead. Our Gulf is in great shape, Red Snapper, King Fish and Cobia are already very plentiful, and as water temperatures continue to rise - mahi, wahoo, sail fish, tuna and more will be arriving. Give us a call today at 409-739-8526 to check availability, ask questions, or book your Galveston Deep Sea Fishing Charter.